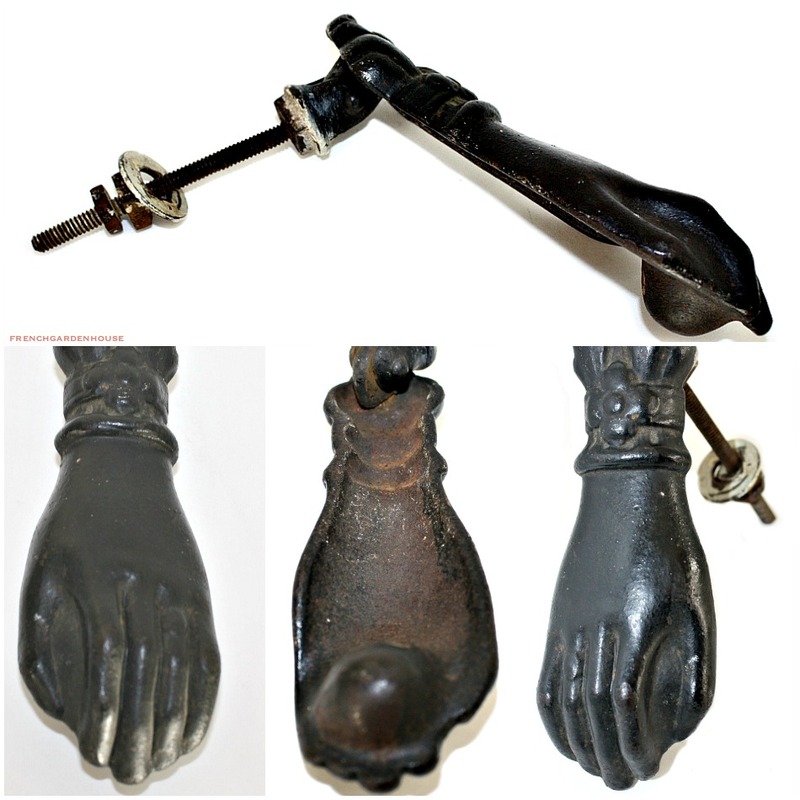 Exquisite 19th century Door Knocker in original blackened finish, with the original hardware, extremely rare and wonderful to find these together. 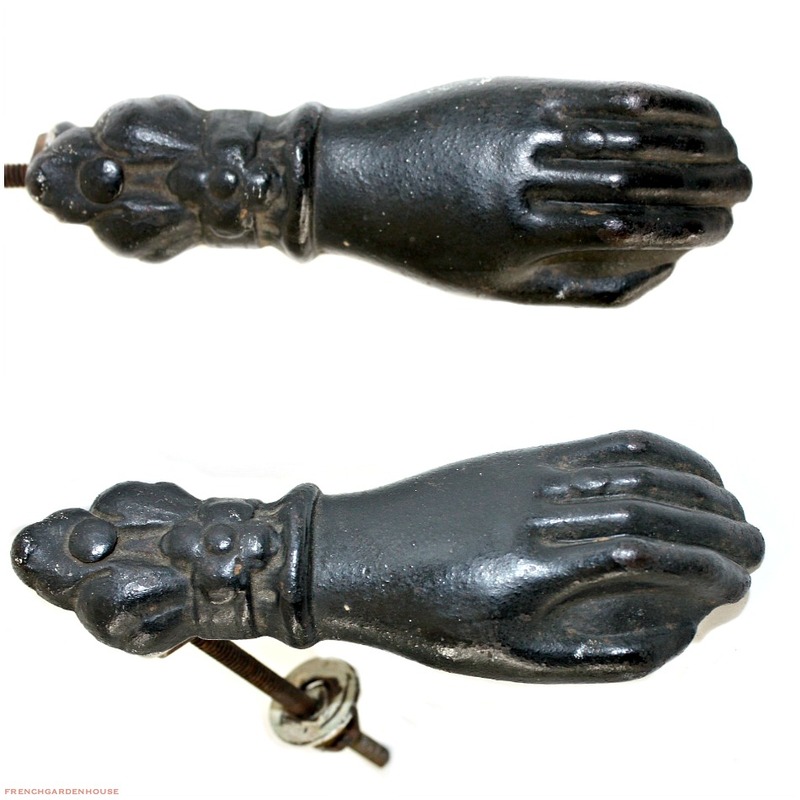 This collectible and beautiful antique door knocker in the form of a lady’s hand holding a round knocker or ball is a very heavy cast piece. The hand is well formed and features a feminine decorative sleeve. Stunning original patina, over 100 years of darkening and "softening" of the hand, what you want to see in a decorative piece like this. 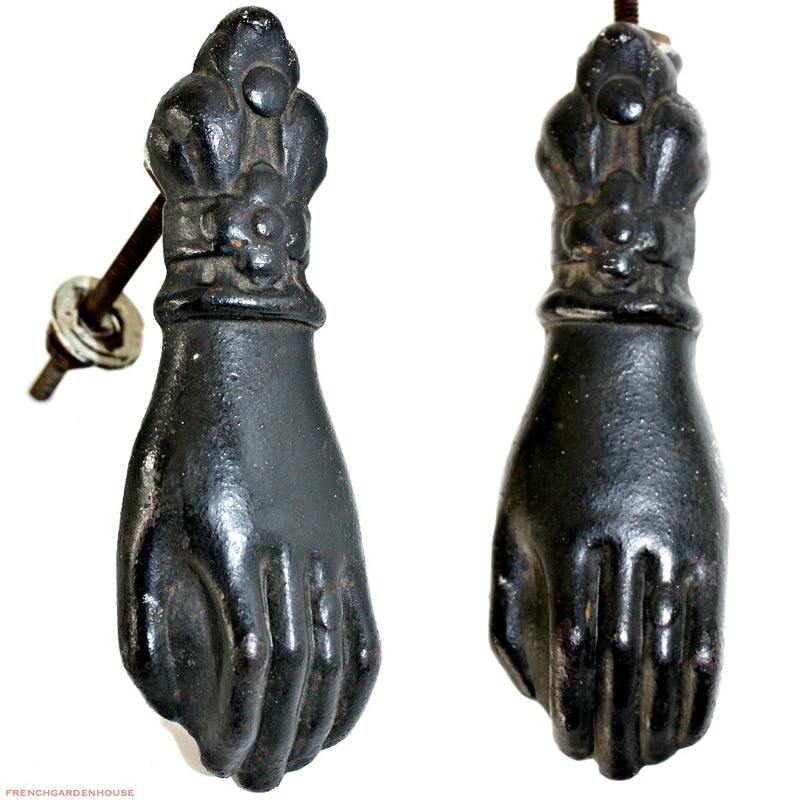 Doorknockers were meant to allow the visitor "to take hold of the house, like a handshake." Through the way the door was knocked, it declared the emotion of the visitor, too, like haste, frustration, timidity or confidence. 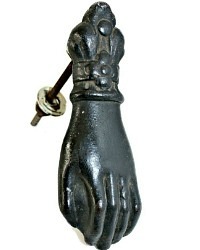 Perfect to add to your collection, or to mount on your own chateau door. Measures 6" x 2" x 1~1/4".